Living on Lake Buchanan Marla often observes herons, egrets and other water birds first hand. 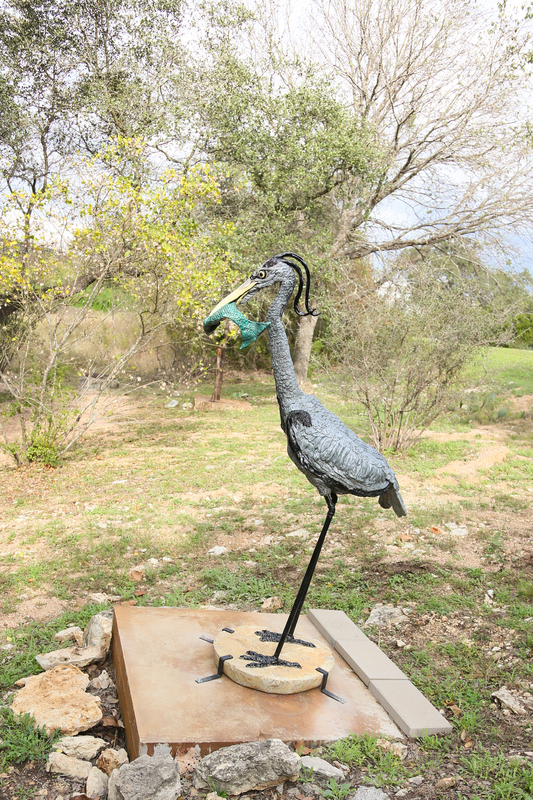 “Fischer” was inspired by her seeing a great blue heron seize a fish and eat it outside her studio. The sculpture is painted epoxy resin clay over steel, with water pipe legs.